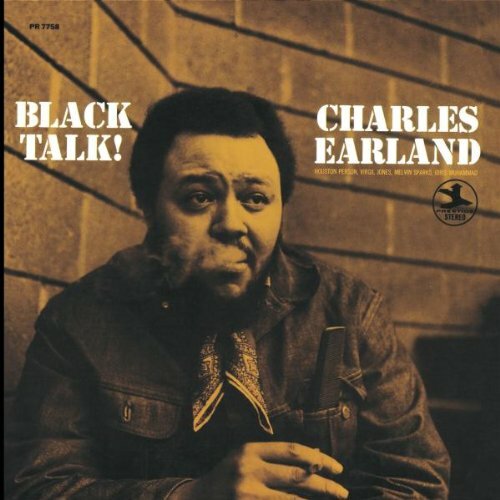 The single from the session that spawned organist Charles Earland’s album Black Talk, a cover of the Spiral Staircase’s More Today Than Yesterday, was a big hit on black radio stations. Subsequently, Black Talk became one of Prestige’s best-selling albums. As far as organ and soul jazz goes, it is hard to find an album that keeps the energy level so enormously charged from start to finish. Mainly responsible for Black Talk’s unstoppable vibe are Earland and quintessential soul jazz drummer Idris Muhammad. They shared duties in Lou Donaldson’s group and played on Say It Loud! and Hot Dog and would continue to play together on Everything I Play Is Funky. Apparently, recording Black Talk had been satisfactory, because the complete line-up of Black Talk minus Houston Person would record together six months later on saxophonist Rusty Bryant’s Soul Liberation. Even a relatively lithe shuffle as More Today Than Yesterday is charged with remarkable energy. Earland’s driving solo is a highlight of the album, containing a string of coherent, funky statements. Another (famous) pop song, The Fifth Dimension’s Aquarius, also has guts, drive and a deeply groovy solo by Earland, as well as quietly thunderous bits by Virgil Jones. Jones strikes me as a very knowledgeable and pleasantly buoyant trumpeter. Here Come Charlie is a Lou Donaldson-type boogaloo that evolves into a spirited piece of soul jazz, courtesy of Earland’s and Muhammad’s amazingly tight, dynamic interplay. Houston Person delivers a particularly hot solo. The Mighty Burner is a concise, swinging uptempo tune. Earland shows why he deserved the nickname of the tune’s title, ‘The Mighty Burner’. The title track, loosely based on The Beatles’ Eleanor Rigby, is blessed with a firecracker beat of Idris Muhammad that kicks the listener out of his chair. Earland and the group pick up on it and groove deeply, with the exception of Melvin Sparks, who delivers a cumbersome opposition of a story. He’s better on More Today Than Yesterday, leaving out blurred, cheap frills and instead succinctly making lines meet. One thing in favor of Sparks, the guitarist possesses an individual, quirkily funky style. Style is written all over Charles Earland’s Black Talk. Meaning repertoire consisting of hot funky originals and wonderful pop adaptations and above all, a delicious, staggering drive. Rusty Bryant was the kind of big-toned saxophonist that switched easily between r&b and jazz. In the late sixties Bryant recorded in the funk jazz vein. 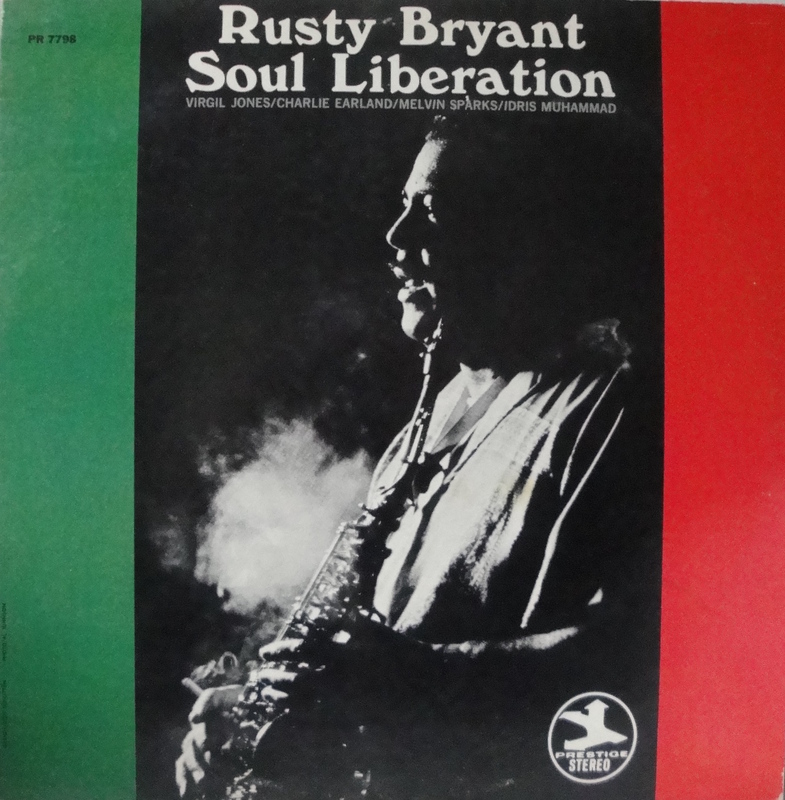 With Soul Liberation Rusty Bryant arguably delivered the grooviest funk jazz set of his career. As the title track demonstrates, from the first lines Bryant grabs you by the throat and thence builds a heated solo, inspired by an equally fiery line-up. There’s Idris Muhammad. The steamroller! The funky wizard! The eloquent groovemaster! Competent in many facets of jazz, of course Muhammad is admired mostly for his groundbreaking soul jazz grooves. On this album Muhammad’s trademark press rolls ‘on the one’ are plentiful. At the time, Muhammad mostly played with Lou Donaldson. Other Donaldson alumni are Earland and Sparks. Furthermore, all four sidemen played on Charles Earland’s masterful Black Talk. Thus they have some experience playing together and would continue to play on other recordings the following year. Charles Earland is a great organist but often demonstrates an unnerving form of bombast in this session, wasting powder and shot and leaving us wondering which solo climax is next. Yet the heavy ground beef he delivers for Rusty Bryant’s Big Wopper is wholly satisfactory. Virgil Jones is an exciting trumpet player who shows an appetite for the exuberant blowing of Lee Morgan and Freddie Hubbard. Melvin Sparks’ gritty, r&b-influenced play, at times echo-reverberating quirkily, is also an asset for a party record such as Soul Liberation; to boot, in Lou-Lou – a Charles Earland original dedicated to Lou Donaldson – the second part of Spark’s straightforward, bluesy solo is preceded by whimsical, spiraling, Oriental turns. Very charming. Rusty Bryant sets the pace with Eddie Harris’ Cold Duck Time, shouting brusquely and throwing in some flashy bop phrases as well. Apart from the impeccable Ballad Of Oren Bliss Bryant continues to blow hard. Try putting on this album during your bi-annual house party. It’ll simultanuously prompt people to tip-toe to your linoleum dance floor and have their ears perked up well enough to notice whoever on Soul Liberation is currently cookin’.